The Flash introduces the final Bus Meta and Ralph is forced to put all that he has learned to the test when DeVoe finally catches up with him. I’ll start with the introduction of the final Bus Meta who goes by the name Edwin Gauss aka The Folded Man (Arturo del Puerto). His introduction amounts to one of a great many things that the episode is about which makes it very muted as a result. The main thrust of his characterisation is that he is a Hippy and this is for no other reason than to manufacture comedy by encouraging the audience to laugh at the people who are supposed to be weird. It’s juvenile characterisation and makes for some frustrating moments. Gauss isn’t a character, he’s a small collection of quirks designed to make the audience laugh as well as a resource they can use in another failed attempt to stop DeVoe. I can’t comment on Arturo del Puerto’s performance because I’m not ever sure what he’s supposed to be since no effort was made to endear the audience to him. As such his eventual death is meaningless beyond the shock value of realising that the only Bus Meta left that Devoe hasn’t managed to harvest is Ralph. I’ve mentioned in most of the reviews that Ralph is a character I find problematic because the approach to humour where he’s concerned isn’t something I engage with. There is also a persistent problem of him learning the same lessons every week meaning that there is a lack of progression for the character even though his arc is supposed to be smoothing out his rough edges. To do this effectively the lessons he learns should be different rather than learning the same thing in a slightly different way. This week has him tackle the redundant superhero debate about killing. 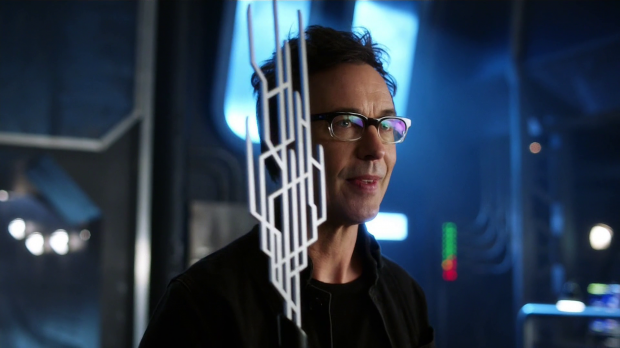 He’s very much on the side of killing DeVoe because it solves the problem completely rather than locking him away where he can be a threat again at some point in the future. Ralph sees this as the tough call that nobody else is willing to make and associates that with being heroic but Barry doesn’t see it that way. He gives Ralph the advice that having special abilities means that there is always a way to solve a problem without killing and he needs to find the better way even if it’s more difficult. This argument has been done to death in the Arrowverse in all of the shows without reaching a definitive stance on it and it gets no more interesting here. Oliver Queen on Arrow resolving that he will sometimes have to kill but never sees it as a first option is a smart decision arrived at in a really logical way but Barry’s approach is the statement of a principle without anything practical to back it up. If he refuses to kill his enemies then that’s fine and if he works to find a better way then that’s also fine, maybe even admirable but what is that better way in this case and how does he plan to defeat DeVoe without killing him? Locking him in the pipeline is an easy answer that serves as a temporary solution if he manages to do it but then what? That’s part of the problem with The Flash these days. A lot of things are said without anything to back them up and this debate on killing is a good example of that problem. Ralph’s argument is actually fairly reasonable as he puts it and often shows like this introduce a character who is willing to deliver a killing blow because the main character refuses to. It often happens without their knowledge or consent to absolve them of any guilt. In some ways that looks like what’s happening here though I do like the emphasis on the continued work to make Ralph a better man on a conceptual level even if the execution is horribly repetitive. 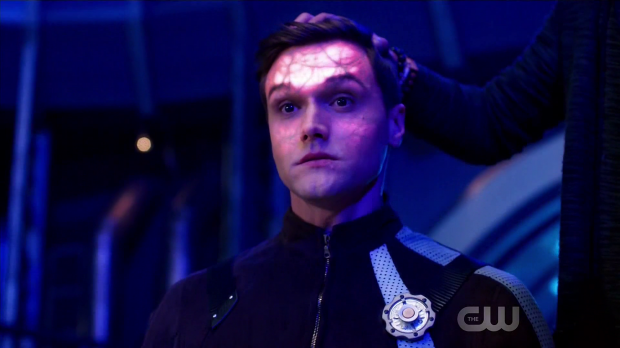 Ultimately this episode is building up to the death of Ralph Dibny and that becomes pretty obvious early on since it becomes something of a victory tour for him when he is confirmed as a vital member of the team. Killing DeVoe isn’t something he wants to do out of a desire for self preservation. He has convinced himself that he is willing to go through with it because he doesn’t want DeVoe hurting Team Flash because he considers them his family and he wants to defend them any way he can even if that means crossing a line. It’s a noble and touching sentiment while also being the moment that marks him for death. The build-up to Ralph’s sacrifice is really well done and shows defined progress in the character that has been lacking since his introduction. In an ideal world this would be the tragic culmination of several episodes of development and it’s clear that this is definitely the idea but the writing hasn’t been strong enough to bring that across because of the afore mentioned repetitive lessons. His last words being taken up by telling Barry that he did save him was really touching and brilliantly delivered by Hartley Sawyer who plays Ralph as a hero accepting the end with dignity. Despite how irritating I’ve found this character in the past I liked how this was handled and would even go so far to say I personally didn’t find him irritating in this episode. One thing is clear; Ralph isn’t the same selfish coward he was when he was introduced and has developed to the point where he feels a sense of belonging to a group that he is willing to sacrifice him for. 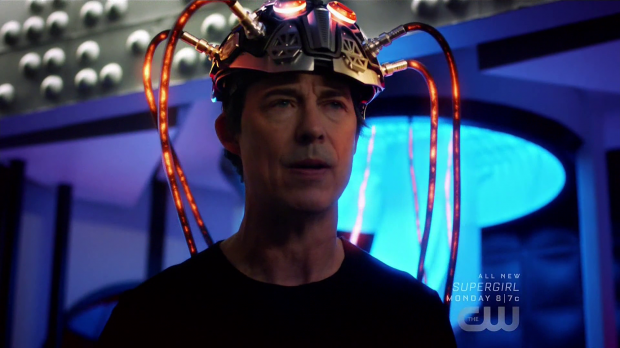 He heeds Barry’s advice about killing and chooses to subdue DeVoe instead which does lead to DeVoe inhabiting his body. 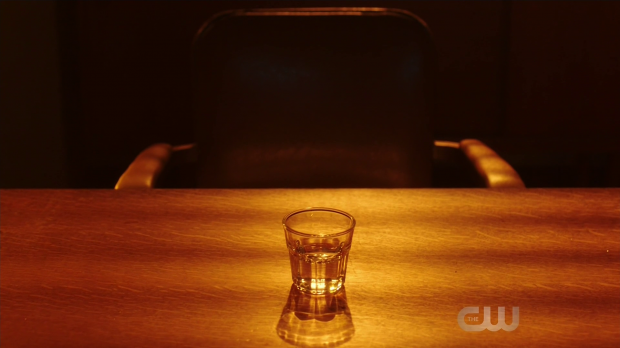 Arguably if Ralph had just killed him then Team Flash would be safe and he wouldn’t have lost his life in the process but this isn’t an episode interested in having that difficult debate even though it is worth discussing. The next logical step of this tired debate is the hero doubting their own values because compromising them would potentially mean that their friend is still alive. This would be followed up with someone else saying “but at what cost?” and the whole thing would go round in circles. I’m not saying there isn’t an interesting way to have this debate because there definitely is and the episode almost did that with Ralph. The whole idea of him being comfortable compromising the morality he has worked so hard to earn because it means that his family are safe is an interesting idea that deserved more exploration. Barry and Ralph’s oppositional views on killing villains create a natural friction within Team Flash and the debate could be extended to the other members. For example Joe has killed in the past so should be able to argue the point that in those situations there was no other choice. Killer Frost could weigh in because the clue’s in the name and the others could hold a position on it as well. Speaking of Killer Frost, another aspect of the spanking that Team Flash receives by DeVoe is that he absorbs the Dark Matter in Caitlin’s system therefore removing her ability to become Killer Frost. I may not understand why Killer Frost is an alternate personality taking the form of an entirely different character sharing her body but it’s part of the reality of the show so I have to accept it to a degree. So far I’m unclear on whether the Killer Frost personality disappears with the Dark Matter or if Caitlin can still bring her out without the powers. Considering she feels that something is missing I suspect that the Caitlin persona is all that’s left. This almost passes as a tragic development after Caitlin talking about how she and Killer Frost are starting to find common ground by leaving each other notes to catch the other up on what has been happening in their absence. It’s something introduced in this episode to front load the loss of Killer Frost as something Caitlin will be upset about but it’s another example of too little too late as the show hasn’t been interested in developing this properly before now. 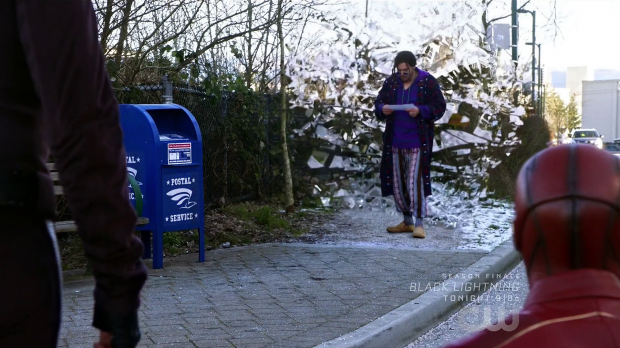 DeVoe has now achieved his goal of harvesting all of the Bus Metas and now inhabits Ralph’s body which allows him to morph back into his original form much to Marlize’s delight. Hopefully now the inevitably disappointing master plan can be revealed and the show can get on with wrapping up this plot rather than spinning its wheels like it has been doing the past few weeks. It’s disappointing that this episode doesn’t pick up Marlize having her emotions manipulated and her memory altered by her husband though it does make some sense since she probably hasn’t discovered it again. I thought it might have come up during her fight with Iris but it’s clear that it will be significant later on as it still sits firmly in the background. I really liked DeVoe and Marlize’s assault on S.T.A.R. Labs for a number of reasons. Using the technology controlling ability to seal it off and turn it into a trap for Team Flash was a really nice idea as it divides them meaning that they have to use their own ingenuity to combat the threat. 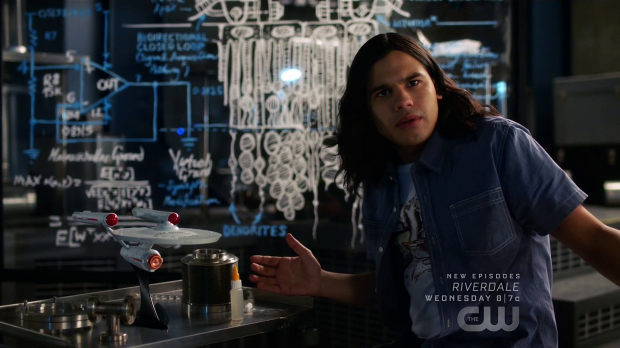 Removing Barry, Cisco and Killer Frost from the equation only weakens them further and holding them in a pocket dimension provides ample justification for why they can’t easily escape. 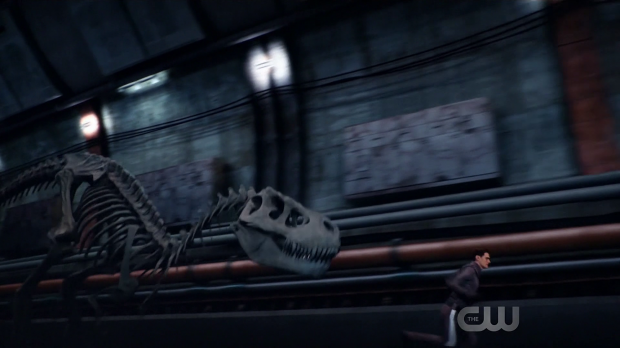 There are some cool moments in this sequence such as Ralph running away from a T-Rex skeleton in the pipeline and Iris taking on Marlize to prove who is the more devoted wife. These individual action sequences are a lot of fun to watch and very creative in their execution. Iris choosing to let Marlize stab her so that she can get access to the chair is a clever idea showing how brave and self sacrificing Iris has become. Unfortunately we are deprived of seeing even more cool things such as Joe defeating a Samuroid with a sword and Ralph actually capturing DeVoe though we do see him using a copy of Harry’s tuning fork and creating an amusing scenario where DeVoe is bested by someone far less intelligent than he is. Barry’s ludicrous speed problem comes into play here when DeVoe manages to surprise Ralph and everyone else. This is something Barry should have easily seen coming and stopped before anyone knew what was happening. I hate to keep bringing this up but “Enter Flashtime” broke the show and now every instance of Barry not being fast enough should be called into question. Harry’s continued use of the Thinking Cap causes concern for Joe who is worried that he is becoming addicted to it. He recognises the signs from when he dealt with the same thing with Francine and doesn’t want to see Harry go down a similar path. Harry insists that he’s fine which of course means that he definitely isn’t and Joe makes a point of not telling him what to do but takes steps to help him realise what he sees. It’s an intelligent approach to dealing with this as Joe knows hurling accusations will get him nowhere but helping him realise what is happening to him might produce results. It is made abundantly clear that Harry has developed a dependency on the Thinking Cap that he won’t be able to shake any time soon. He has broken his promise of not using Dark Matter and has gotten to the point where he constantly craves more knowledge. Where this is leading I couldn’t say though I don’t get the impression they’re setting up a future villain here. I could be wrong about this and most likely am but it doesn’t feel like that is what is happening. To my mind it’s more likely there is going to be a brief addiction subplot about Harry getting clean. An uneven episode that handles the death of Ralph really well but is muddled in the execution of other elements. This marks the first episode where I wasn’t personally annoyed by Ralph and found him really endearing. He makes reasonable points around the killing villains debate and has a solid justification in protecting Team Flash who are like a family to him. Refusing to kill DeVoe is meant to be seen as a profound revelation on his part and it very much comes across that way except it ends up getting him killed. It’s appropriately tragic though doesn’t take the killing debate to its next logical step. Ralph is the last Bus Meta that DeVoe needs to harvest so hopefully he can get on with his inevitably disappointing plan. The loss of Killer Frost when DeVoe absorbs the Dark Matter from Caitlin’s body is seen as a tragedy especially when the two personalities are finding common ground. Considering this was only introduced in this episode it doesn’t quite work but in theory the loss of a part of herself is interesting. DeVoe and Marlize’s attack on S.T.A.R. Labs is well thought out and shows some cool moments such as Ralph running from a T-Rex skeleton and Iris fighting Marlize but also deprives us of Joe defeating a Samuroid with a sword. The addiction plot with Harry and the Thinking Cap is handled well with Joe trying to help him realise what’s happening to him rather than telling him what to do. I’m unsure where this is going but my thinking is there will be a recovering addict plot over the next few episodes where Harry tries to get himself clean from his dependency.